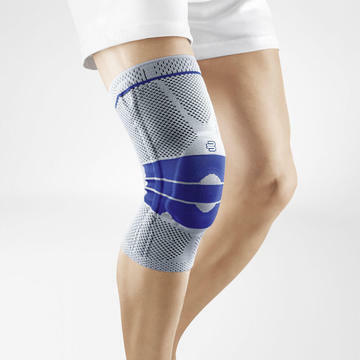 AllegroMedical.com presents Bauerfeind orthopedic braces and supports, designed to provide healing stability and pain relief. Bauerfeind is a supremely engineered line of orthopedic braces and supports . Experience pain relief with GenuTrain®, MalleoTrain®, and SacroLoc® . Germany is world renowned for its legacy of quality engineering, excellent craftsmanship, high caliber skills and precise attention to detail. German design and engineering is the source of many of the world’s most high-performance products, from cars to consumer technologies. All Bauerfeind orthopedic braces and supports are made in Germany, with an unrivaled commitment to excellence that is the driving force behind everything we do. Bauerfeind products are made of soft woven knit material so they’re breathable. The anatomical fit feels like a natural extension of the body for flexible stability that won’t interfere with your movements. Our braces deliver just the right amount of compression via our proprietary soft knit fabric. Our supports provide a therapeutic massage that stimulates circulation and muscle recovery. Feel the rejuvenating relief from aches and pains and see how our German engineering makes Bauerfeind braces and supports feel and perform better than other products on the market. Targeted support for knee pain relief and stabilization. If your knee is weak, swollen, painful or recovering from an injury, Bauerfeind’s GenuTrain® knee braces and supports provide relief and stability for the knee joint. It relieves pain and protects the joint without limiting your mobility. The Bauerfeind Innovation Center is where the best minds in sports, medicine, physical therapy and science collaborate to continuously enhance orthopedic braces and supports. With unique insights and unconventional thinking, we find new, different and better ways to relieve pain, provide stability and restore motion. Through an ongoing cycle of research, exploration, and product line development, ideas that begin as a discovery in our labs become the standard for helping people live fulfilling, active lives at any age. 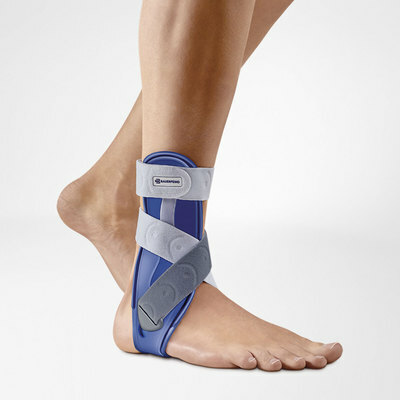 Bauerfeind’s MalleoLoc® ankle braces and supports stabilize the ankle and prevent it from twisting. Our knit material is one-of-a-kind. The fabric is comfortable, durable and machine-washable – unlike neoprene and other materials. Our products are designed for extreme comfort when worn for long periods of activity: you can exercise, work and play in our braces and supports. Why is our revolutionary knit material better than neoprene and other fabrics? Breathability. Air easily flows through to eliminate heat buildup for a cooling effect. Skin friendly. Bauerfeind knit is hypoallergenic, so it won’t irritate the skin. Comfortable fit. No bunching, pinching, slipping, rolling or constricting. Anti-odor. Draws moisture away from the skin to reduce perspiration. Machine washable. Use the gentle cycle with cold water and air-dry it – it’s durable and long-lasting. Simple. Easy to put on and take off. Bauerfeind’s SacroLoc back braces and supports stabilize the pelvis and lower back and delivers pain relief to the sacroiliac (SI Joint) and pelvis. 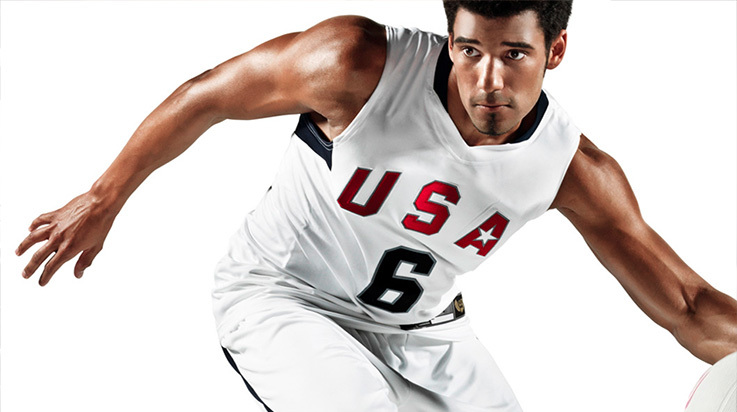 Bauerfeind® orthopedic braces and supports set the standard for the global athletic community. World- class athletes in nearly every professional sport around the world depend on Bauerfeind braces and supports to help them perform at their peak every day. Our sports medicine doctors, physical therapists and sports trainers ensure our braces and supports are professional quality and meet the high standards required by world class competitors. Pro athletes in sports from football and basketball to hockey and volleyball use Bauerfeind braces and supports. In fact most professional basketball teams use Bauerfeind products. Since 2002, Bauerfeind has been present at the Summer and Winter Olympic Games with a service team on hand for the athletes from all participating nations. What’s purple, round, and all over Michael Phelps and other Olympic athletes? Cupping – is it for you?